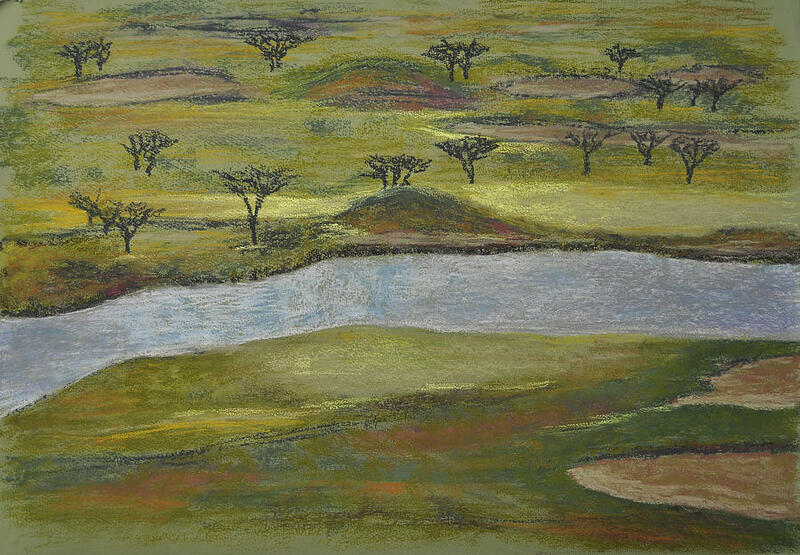 Harvest Golf And Country Club is a pastel by Marina Garrison which was uploaded on August 13th, 2010. A scene from the Harvest Golf and Country Club in Kelowna, British Columbia, Canada. The golf course includes a working apple orchard. There are no comments for Harvest Golf And Country Club. Click here to post the first comment.